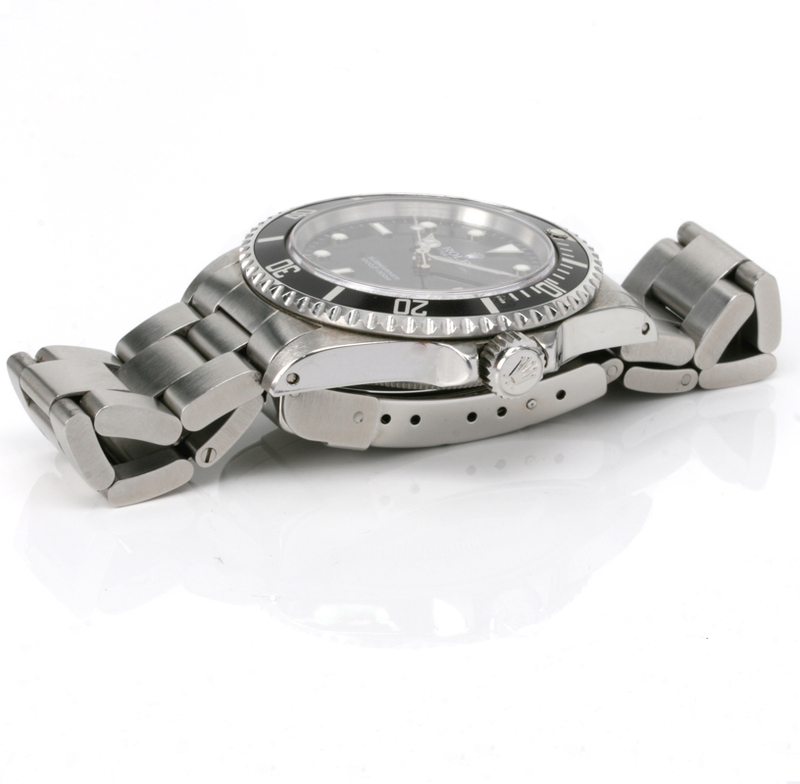 Product code: W654cc Categories: Sold Items, Sold Rolex Watches. 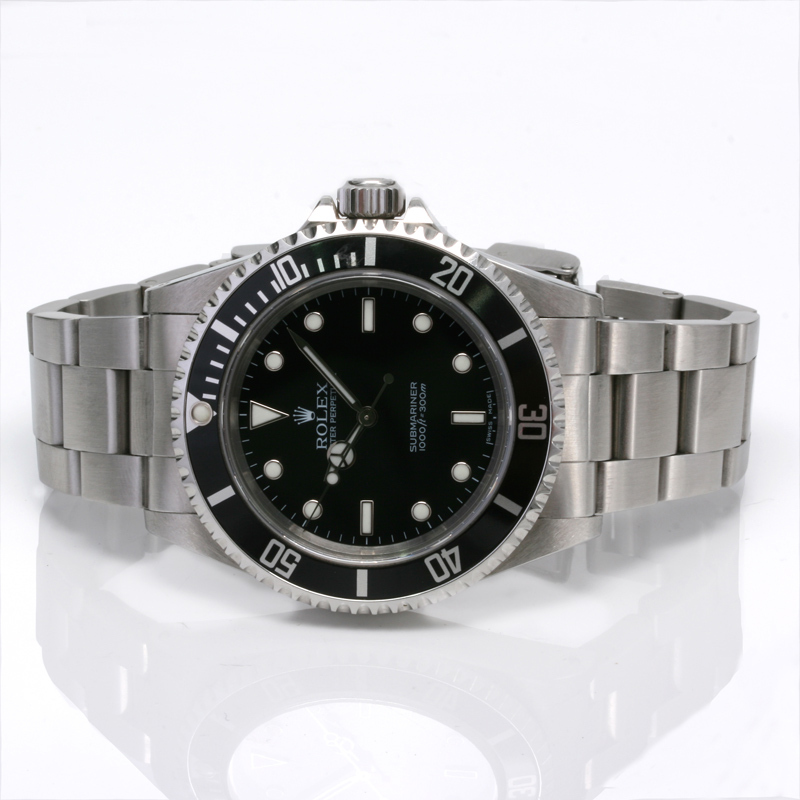 Perfect for above or below the water, the Rolex Submariner has remained the most iconic Rolex model and here is a great looking Rolex Submariner no date ref 14060. This model of Rolex Submariner has definitely increased in popularity in recent years thanks to the nice clean look gained from the absence of the date magnifier giving it a very sleek look both on and off the wrist. Measuring 40mm across plus the Rolex screw down crown and fitted with the sapphire crystal this is really a go anywhere anytime watch that is water resistant to 1,000 feet/300 meters making this a very rugged yet handsome watch to wear all the time. Inside the fully jewelled automatic Rolex movement runs perfectly and comes with our 12 month warranty and will not let you down for reliability and accuracy. Fitted on the stainless steel Rolex Oyster band with fold over clasp which is in great condition this is a great looking Rolex Submariner watch for anyone for any occasion.